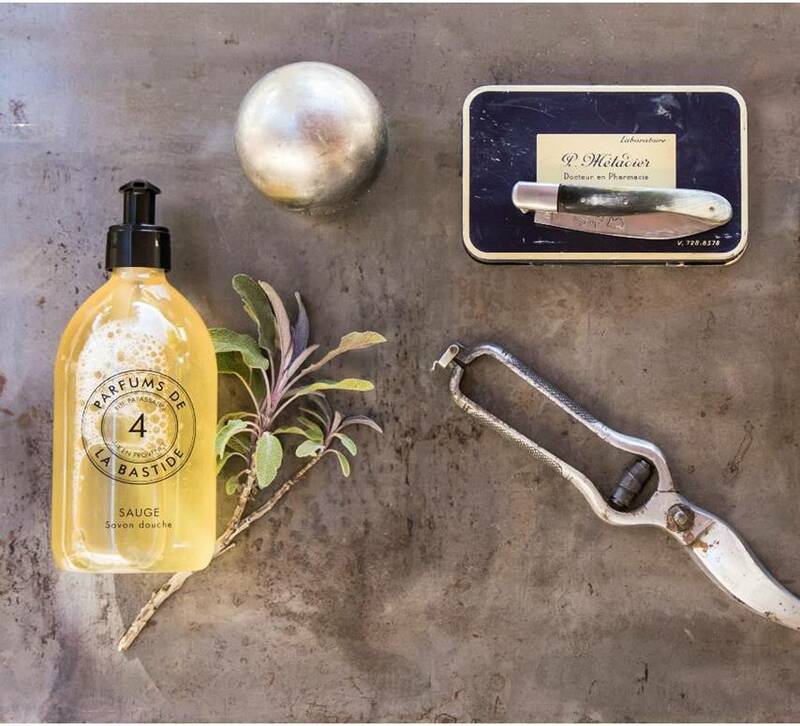 Worked originally as a real perfume but in a clean and revitalizing barber’s spirit, the Sauge line has been created to feel good and refreshed. Proper ritual to start the day or refresh oneself after the shower or a journey, the Cologne can be used at any time of the day. Timeless, it revitalizes the body and the spirit. Its nomadic format is easy to carry along and to use. Presented in a light-weight aluminum bottle, it is concentrated at 5 % like a eau de toilette. This generous format, in flask-pump supple and transparent PET, is the ideal soap for a reinvigorating shower. Perfumed with the same concentrate as the Cologne, its formula is soft and composed of 8 % of olive oil. 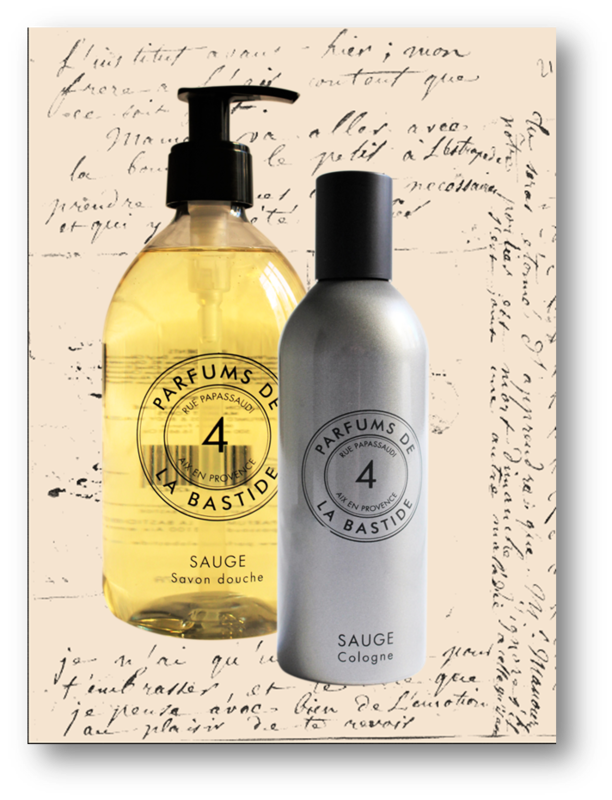 Very natural, the concentrate of Sauge gathers a huge range of essences compared with a classic Cologne. It is composed of 18 essences, mainly fresh essences of citrus fruits - bergamot, orange, lemon …, powerful aromatic herbs - clary sage, mint, thyme, rosemary, lavender – but also eucalyptus, orange blossom and petit grain. The quantity of ingredients of natural origin contained in the final product naturally reaches 98 %. Worked originally as a real perfume, the eau de cologne Sauge contains 5 % of perfume concentrate. The formula of the cologne concentrate hasn’t been re-worked for soap, it is strictly the same concentrate which is contained in the soap. In some family houses, there are always fun discoveries in attics or armoires, such as old Colognes worn by our grandparents or great-grandparents. A natural and fresh eau, that smells so good that you have to have it ! 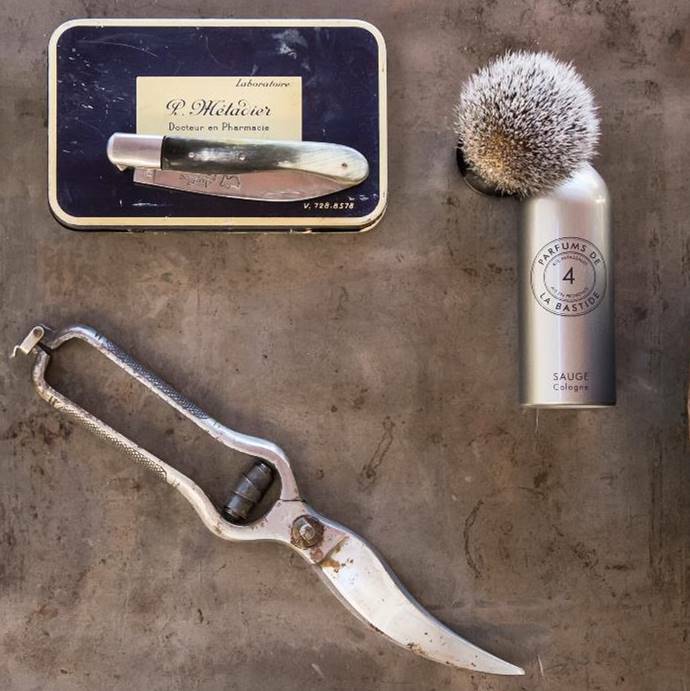 For men, Cologne was essential after shaving with a traditional saving brush and parker razor. The Sauge range revisits this spirit : we would generously spash Eau de Cologne as the ultimate morning routine. Created with the know-how of perfume, it is an essential, elegant and contemporary signature in the daily regimen.